GLO . The Etisalat sims are automatically USIM(Universal Subscriber Identity Module) which doesn’t need sim upgrade before it will work on 4G. 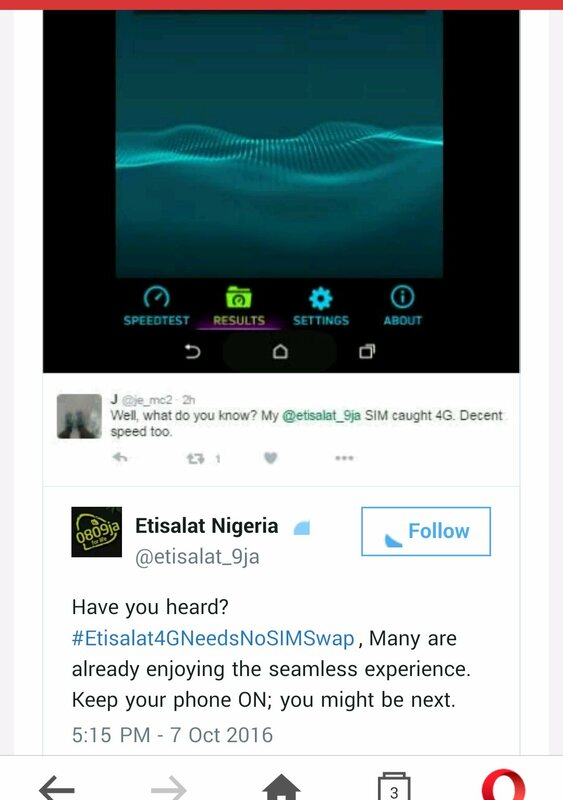 According to their twitter hashtag, #Etisalat4GNeedNoSimSwap. Well, is this a coincident or they planned it that way? After launching their long awaited 4G LTE Plan, they went ahead and increased their normal bundle plan. Should we call this one Recession? 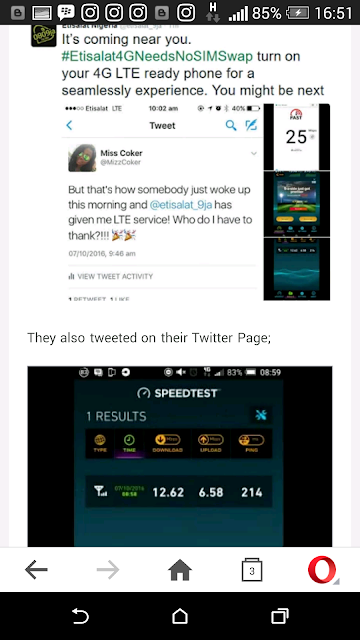 Meanwhile, the 4G LTE is only available in Lagos for the main time but it is expected to arrived other cities within some few days or probably month.